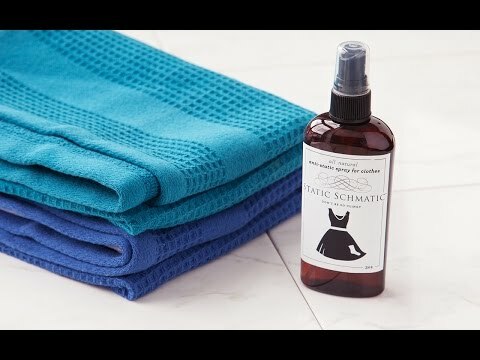 Created in the mountains of Aspen, Colorado by mother and daughter Kris and Whitney Foley, Static Schmatic is an all-natural anti-static spray especially formulated to eliminate static from your hair, clingy fabrics, and even that fluffy pile of clean, freshly laundered clothes—all without leaving any scent or residue. Craving an odorless, non-toxic way to manage static cling, Kris spent three years experimenting with her own homemade recipes before she and Whitney turned to a Boulder-based chemist for assistance. Together, they came up with a solution containing a combination of organic aloe vera juice, sea salt, and other plant-based ingredients that are tough on static, but safe for you, your pets, clothes, and the earth. Small enough to fit in a purse, glove compartment, or an office desk drawer, Static Schmatic can help you out of even the most clingy of situations. 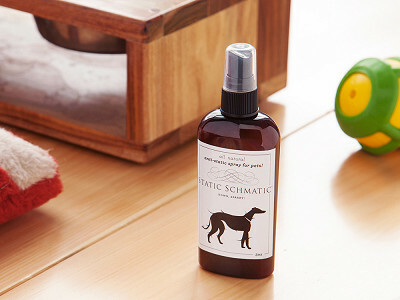 The next time static strikes, be prepared and just spritz it away. 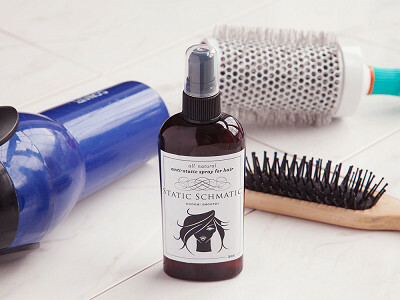 Static Schmatic is the all natural solution to embarrassing clingy static in your hair and clothes. 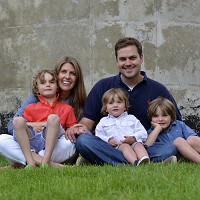 We're Kris and Whitney, a mother/daughter team, from Aspen, Colorado where the battle with static continues year-round. We created an all natural, odorless formula that has only five ingredients. It's meant to be sprayed directly on your hair, skin and clothes. Making a safe, all natural product in the USA was our utmost priority, and we're excited to share Static Schmatic with you and yours. Please chat with us today, and let us know your questions! Products sounds great. One question-you mention above: but safe for you, your pets, clothes, and the earth. Has this been tested on pets (dogs). My furbaby is cursed with static all winter and dryer sheets only work for a short time. @Rosine Yes, it has been tested on dogs and cats. In fact, it was our customers that gave us the idea when they commented that they used it on their pets to prevent getting shocked. Our local animal shelter uses it as well. It's odorless and buildup free so dogs (and owners) don't even know it's there. Our family really likes this product - safe enough we spray it onto the brush we use for our 9 month and 2 year old daughter's hair . I've sprayed it on our dog's pillow as well - makes it much easier to vacuum up his pet hair that normally clings to his pillow. Thanks for this safe and natural solution! @Peter We're so glad you like Static Schmatic! Thank you for the kind words! Will it last all day on your hair, or do you need to reuse. @karen It all depends on your activities and level of static that day. Some days one application is enough and other days more are needed. We created Static Schmatic to be safe enough to use as often as needed, and since it doesn't create a build up on your hair or clothes you can freely reuse it throughout the day. @Ron We haven't tested Static Schmatic for that type of use so I hesitate to say whether it will work for that or not. I'm so sorry. This is one of the best static products I have ever used and it is all natural and great for the environment. I have told many friends about this great product. I love that you can use it on everything.